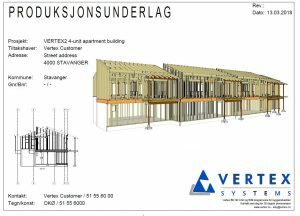 Vertex Systems has collected figures to show that their BIM software Vertex BD does framing design faster than the competition. “I was actually surprised by the figures myself,” says Ole K. Overland, manager of Vertex Systems in Norway. 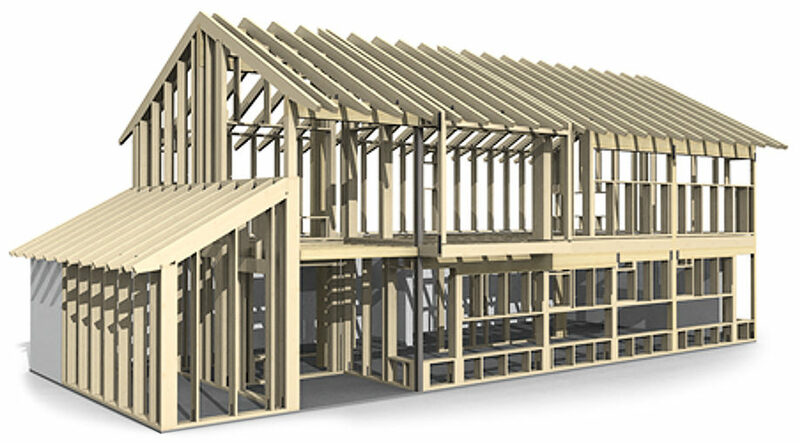 “I was in contact with a potential customer who said that with their existing BIM software on average, they spent about one week on the entire framing design process, from start-up meetings, to modeling and to finished framing design. I knew that with our BIM software, Vertex BD, they could shorten this time considerably, but I did not have hard facts to prove it. For this reason I started to collect data from several different design projects. The results should be enough to convince many potential customers that they can save a lot of time and money by using our BIM software,” explains Overland. 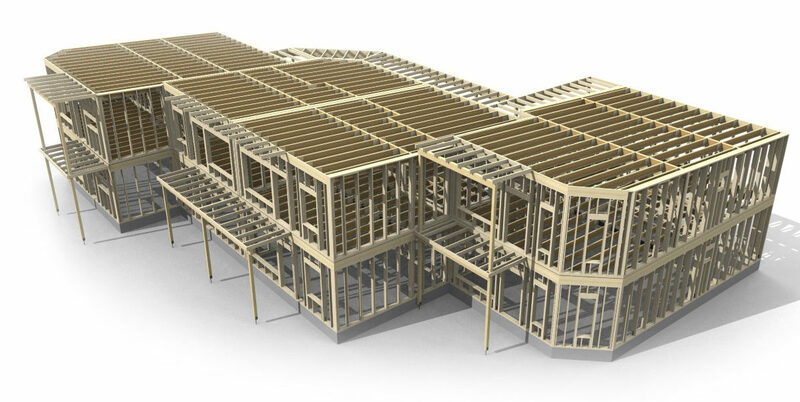 The statistics prove that with Vertex BD it is possible to complete any framing design project in an average of 16 hours or about two working days, which is a massive reduction from a full working week. “The figures also include small breaks for coffee, restroom, and short phone calls, so they should represent realistic working days. If you measure total square meters, bearing in mind that there are also floors and ceilings being designed, a potential customer I talked to estimated 6 m2 per hour for panel design. The figures from Vertex BD are over 15 m2 per hour,” says Overland. Why is Vertex BD so much faster? Overland points out that he has collected data from a variety of projects, from small cabins to apartment buildings of 8 units, and figures are also presented without ”copy and paste” projects. So, why is Vertex BD so much faster? 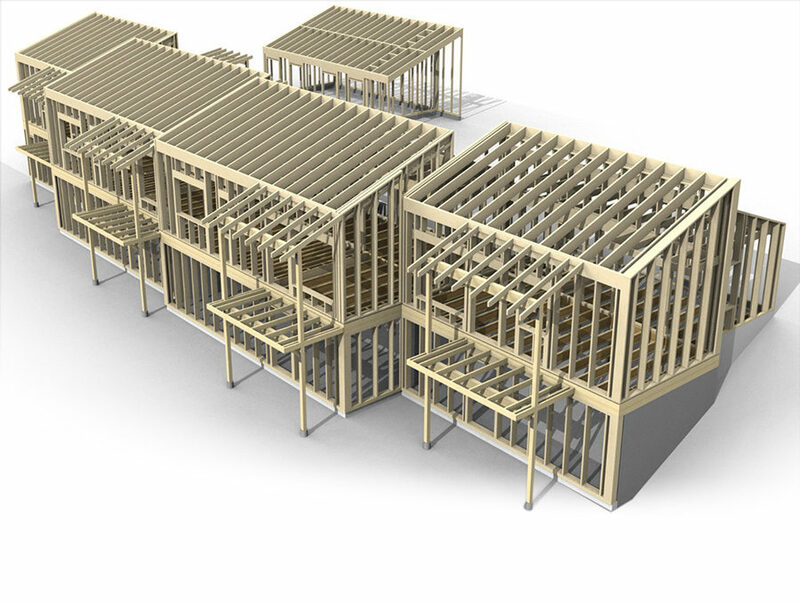 “With Vertex BD you get everything in one application, which means you don’t have to move information from one place to another when you need to make changes to, for example, the architectural model. We provide a complete BIM software for all stages in the construction process, whether you are an architect or a framing designer. In addition, it’s very easy to use. You can change everything. For example, we try to hide properties until you need them, and use templates for common operations, decreasing clutter and increasing efficiency,” says Overland. Another advantage of the BIM software Vertex BD is that it can be modified to suit specific needs. “Very few features in the software are fixed. Basically, almost everything can be adjusted to your specific needs and the production line. You don’t have to spend a lot of time on repetitive tasks because it deviates from the standard installation you often see in similar software. It makes it less stressful and much more efficient to use our BIM software,” Overland believes. 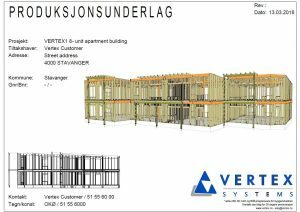 Vertex BD is primarily used by manufacturers of wood and CFS buildings as well as independent architects and engineering offices who cooperate with them. “Our customers already include large and small building developers, engineering offices and architects, and we are ready to have more BIM users using our solution. With these specific figures at hand, I’m sure many will see the value of making a change. How can they afford not to?” asks Overland, who also says he will continue to collect statistics on projects to show potential users how fast and effective Vertex BD is. Overland and his colleagues in the global company Vertex Systems (Argos Systems in the USA) are continuously working on looking at other ways to shorten design time. He points out that this project has not been completed. “The software is continuously updated throughout the year, and we have annually major releases. I always encourage users to send feedback to our sales teams or help desk, if any tasks are frustrating, repetitive, or simply boring, so we can do something about it. We want our BIM software to make design simpler and more efficient. It’s a job we take seriously. It is important to continuously look for improvement in features and work flow, and we deliver it in Vertex Systems,” says Overland as a final remark. Project statistics were collected by an experienced designer using Vertex BD 2017, doing wooden framing design of wall, floor and roof panels. Some projects included collaboration with other software using DWG or IFC format. View design example drawing sets in pdf by clicking pictures above.